Check out Tobi's Paige Faux Fur Jacket You're a winter queen in The Fifth Label's Paige Tan Faux Fur Jacket. 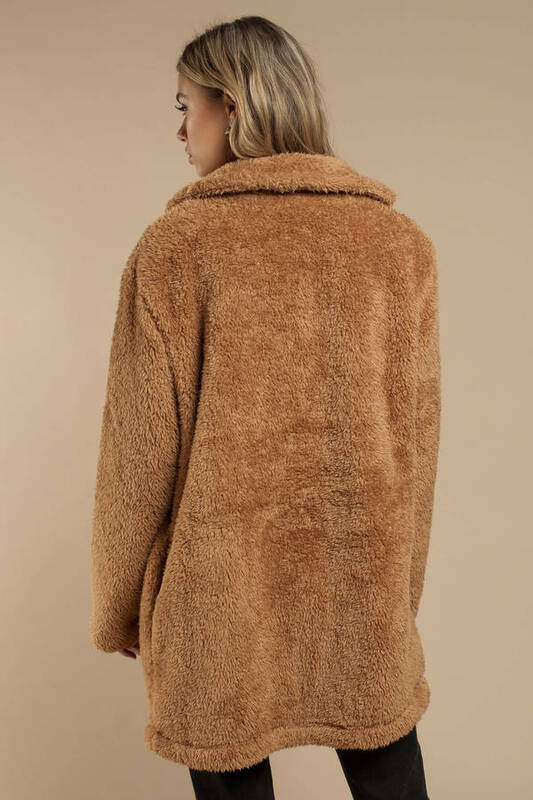 This longline teddy coat features an open front, notched lapel, relaxed sleeves, and the coziest faux fur imaginable. This teddy fur coat will look stunning at your next night out with the girls in the city. You're a winter queen in The Fifth Label's Paige Tan Faux Fur Jacket. 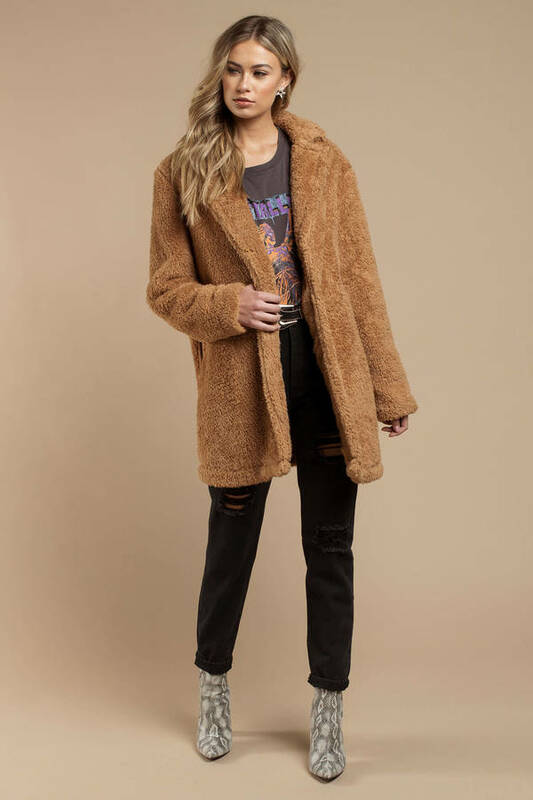 This longline teddy coat features an open front, notched lapel, relaxed sleeves, and the coziest faux fur imaginable. 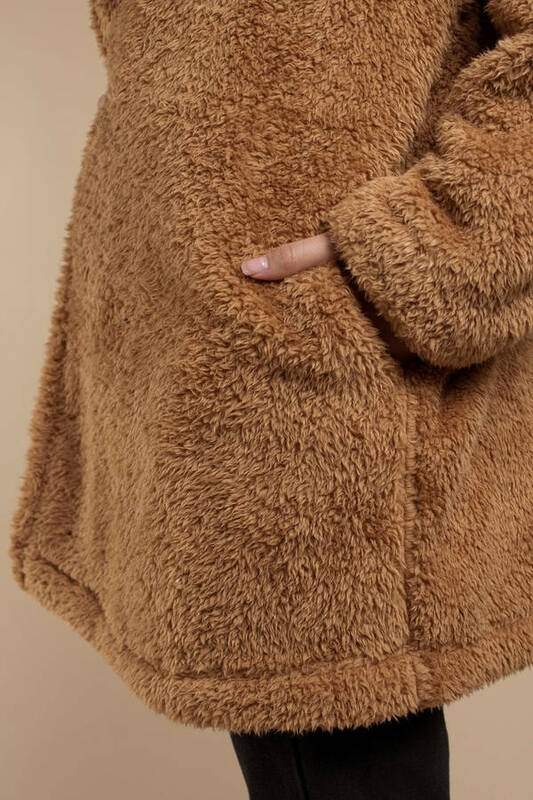 This teddy fur coat will look stunning at your next night out with the girls in the city. Tan modeled on a size Small.